Summer is on the way! For me, our sunny and hot season means lots of time outside enjoying long beautiful days. It also means I have less time in the kitchen to cook healthy homemade meals. How is it possible to eat well AND have time to enjoy the great outdoors? Here’s a way to do both…. Here’s how it works: You bring a big dish to share (at least seven servings) like a soup or casserole, one copy of the recipe, and empty tupperware containers. You taste lots of other dishes made by fellow Tractivists and take home the ones you want, along with the recipes. The next time you’d rather go for a walk or play frisbee than cook dinner, voila! you have healthy, homemade options right in your freezer. Why is this a great idea? In addition to having convenient frozen dinners (without all the packaging), you save on money, time, and dirty dishes! You get to make one dish once, yet enjoy the flavors and nutrition from many different meals over many days. You get to meet other Tractivists who like to cook but, like you, would sometimes rather do something else. 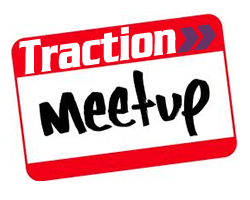 I hosted Traction’s last freezer-stock-up party, and it was a huge success. I’m still eating delicious homemade meals from the freezer, and I know several other Tractivists who are too! And this time, feel free to bring questions or thoughts about the current primary election. It’s hard to stay informed about local races — we can swap info while we swap dishes. I’ll make the same promise as last time: to try to use the most local and sustainably-grown ingredients — even some from my own garden! But you don’t have to. Homemade food made with conventionally grown ingredients is still healthier and more eco-conscious than pre-processed frozen dinners. So whatever your angle, we welcome your creative culinary license! Enjoy those outdoors and I hope to share some culinary love with you this Sunday! it ;) I’m going to come back yet again since i have bookmarked it. the same topics discussed here? I’d really like to be a part of group where I can get comments from other experienced people that share the same interest. If you have any suggestions, please let me know. Thanks!